Hey guys, have you met Cynthia Adinmah, 2015/2016 Face of Independence Nigeria? Being the Face of Independence Nigeria 2015/2016 edition, Queen Cynthia Adinmah has written her name in gold by making it a routine exercise to reachout to the destitutes and the less privileged by extending her hand of generousity to these categories of people in the society while in office. Queen Cynthia Adinmah went on several outreach programs in Imo state and Bayelsa State where she gave out treated mosquito Net, school writing materials etc. 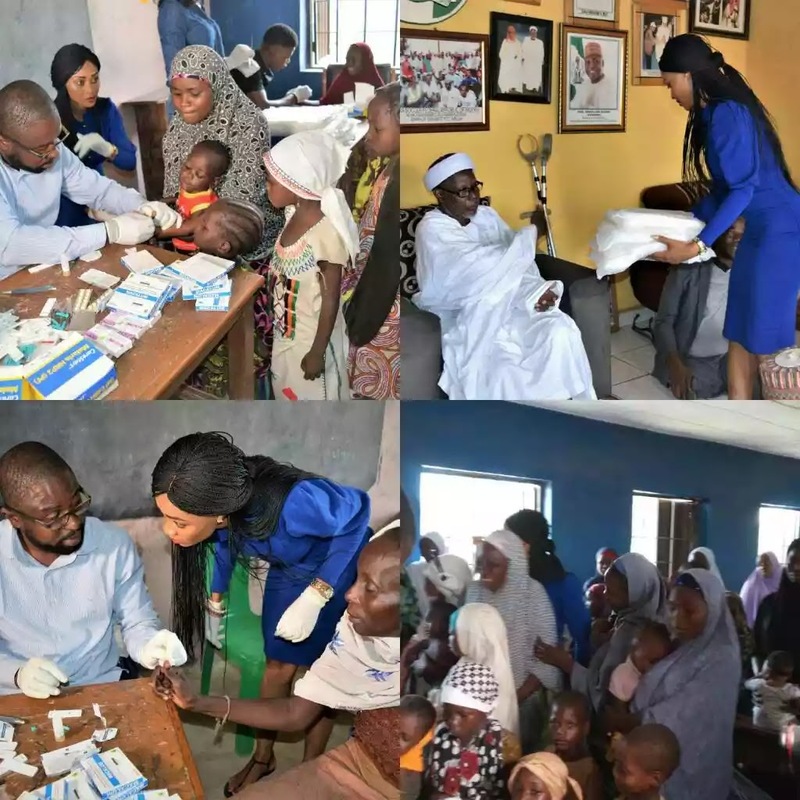 She also sponsored free malaria test, free medical check-ups as well as giving free malaria drugs to patients in two communities in Bayelsa state during her tenure of office. Since she had identified malaria as a deadly sickness faced with the Africa continent, Queen Cynthia Adinmah made a clarion call to individuals, Private sectors and Government around Africa to contribute generously to the combat against the monster called ‘malaria’ so as to ensure a malaria-free larger society. The Queen has also identified the interests of Nigerian youths in entrepreneurship which she used her good office to encourage their pursuit of excellence in their chosen endeavours. Queen Cynthia Adinmah has already carved an enviable image for herself while in office by single-handedly financing some of these projects to fruition in order to add colour to her birthday party as her tradition. Queen Cynthia Adinmah 2017 birthday has been designed not to fall short of her already well-carved national image of excellence even while out of office. 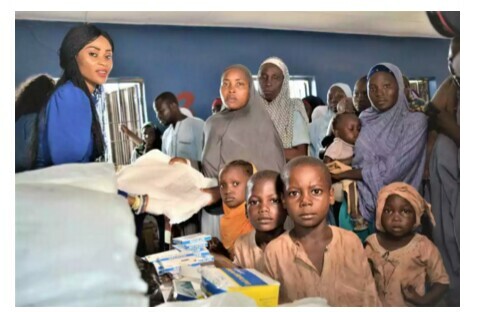 A medical team led by two Doctors stormed Karmajiji Community on Saturday 29th April, 2017 where a handsome number of physically challenged persons are resident in the Federal Capital Territory, Abuja for various degrees of medical treatments. 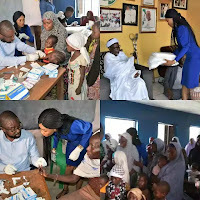 These medical personnel administered free medical services ranging from malaria tests, anti malaria drugs , distribution of mosquito treated nets to each family of the less privileged and the physically challenged for free to celebrate her this year’s birthday. This is a very rare gem and personality in the Nigerian society of today where young people are all scouting for quick wealth and fortunes but this immediate past Face of Independence Nigeria would not relent in putting succour on d faces of the ‘havenots’ in the society of her time. Our profound gratitude goes to organisers of face of Independence for fishing out the likes of Queen Cynthia Adinmah who did most charity works without even a support during her tenure of office. Queen, you are still interested in serving the people long after your completion of tenure of office. Happy birthday in arrears to you and many happy returns our national damsel.